The Riverstone Industries Line of 3 ft wide commercial landscaping all weather ground covering rolls designed to offer easy to use, Professionally used and requested 3.2 oz. 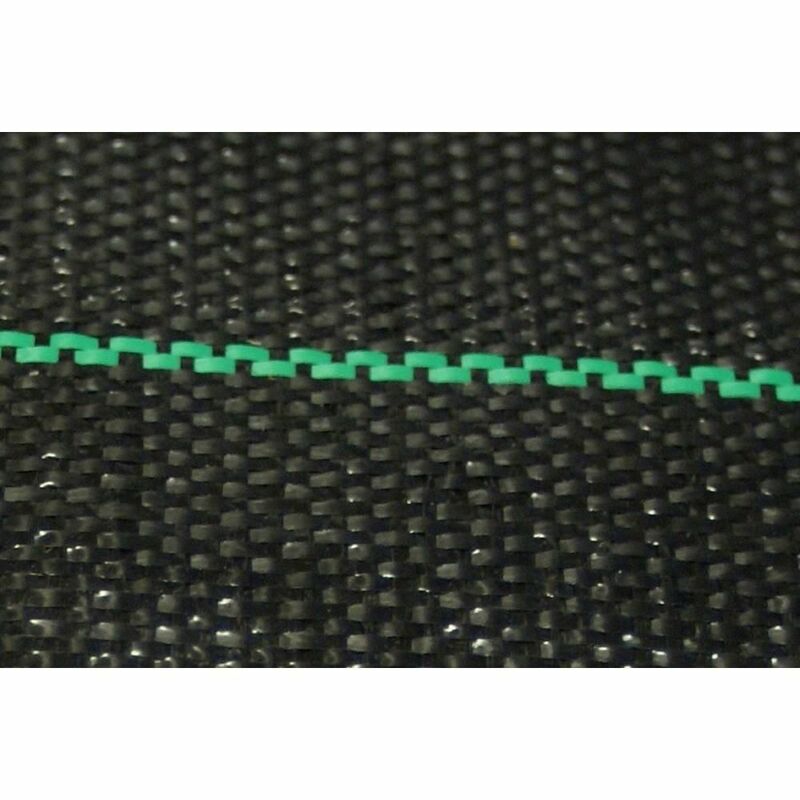 thick black woven polypropylene fabric with pot lines that are 12 inch apart for easy line-up. The material is designed to left water flow through the fabric while preventing weeds, rocks or animals from coming through. This fabric carries a 20 year warranty. 3 ft. Commercial All Weather Landscaping Ground Covering Rolls-50 ft The Riverstone Industries Line of 3 ft wide commercial landscaping all weather ground covering rolls designed to offer easy to use, Professionally used and requested 3.2 oz. thick black woven polypropylene fabric with pot lines that are 12 inch apart for easy line-up. The material is designed to left water flow through the fabric while preventing weeds, rocks or animals from coming through. This fabric carries a 20 year warranty. 3 ft. Commercial All Weather Landscaping Ground Covering Rolls-50 ft is rated 5.0 out of 5 by 2. Rated 5 out of 5 by Notapplicable from Great Product This ground cover is terrific, FYI it exactly matches some that was installed beside our house 10 years ago and this older cover is still fine. The quality of this is great, very easy to cut and fit and install. I would purchase this again if I needed such a product. Rated 5 out of 5 by Kevin from This product is a heavy duty material that doesn't rip... This product is a heavy duty material that doesn't rip or stretch while installing and covering with rock or gravel. Water drains through it well.